The Indian Supreme Court has rejected Swiss pharmaceutical company Novartis’ appeal for patent protection for its blood-cancer treatment drug Glivec. In a judgment delivered Monday, the Court held that Glivec was an example of “incremental innovation” under Section 3(d) of the Indian Patents Act and, as such, not liable for protection. This controversial section deals with “over-greening,” a term used to describe creating a new version of a drug with only incremental modification and no innovation in order to extend the life of a patent. What constitutes an “incremental” change is, of course, a matter of judgment and the ruling brings back into the spotlight the patent wars that have been fought in India over the past few years. By and large, multinationals have been losing out — for example, Hyderabad-based firm Natco Pharma was granted a compulsory license for Bayer’s liver and kidney anti-cancer drug Nexavar. (The Natco version was 97% cheaper than the German brand.) Several other multinational-made products have been replaced by cheaper generics. On one side of the debate is affordability. Treatment using Glivec costs Rs. 120,000 (around $2,000) a month compared with just $140 for the generic equivalent. “The Novartis patent ruling [is] a victory in battle for affordable medicines,” the Guardian newspaper in the United Kingdom reported. 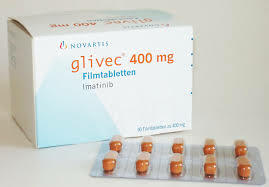 The battle over Glivec has been going on since 2006, when the patent controller’s office in Chennai declined to give Novartis a patent for the drug. The company went to court. In 2007, the Madras High Court rejected the Novartis plea, and the Intellectual Property Appellate Board decided against the firm in a 2009 appeal. The company went to the Supreme Court in 2009 and the result was Monday’s judgment. Novartis has said, however, that it is going through the fine print of the decision and is likely to once again appeal. The Novartis case is one of many that are reaching judgment in Indian courts. The cases are likely to set the course for big pharma investment in the country. But observers suggest that the overall impact could be limited. The Indian pharma market is estimated to be worth around $30 billion a year at present, including exports. Patented products make up barely 1% of that. According to a McKinsey report, the market could grow to $70 billion by 2020. This is where the future demand will be, and MNCs and Indian companies alike want a piece of the action. In an earlier story published on India Knowledge@Wharton, Wharton health care management professor Patricia Danzon pointed out that patent protection enables companies that invest significantly in R&D to recoup those costs. Forcing a private sector company to sell at a lower price or to take away their intellectual property in an attempt to make medical care affordable, “is not a viable precedent in a market economy,” she noted. But for the cheering masses outside the Delhi courtroom on Monday, it was a different story.